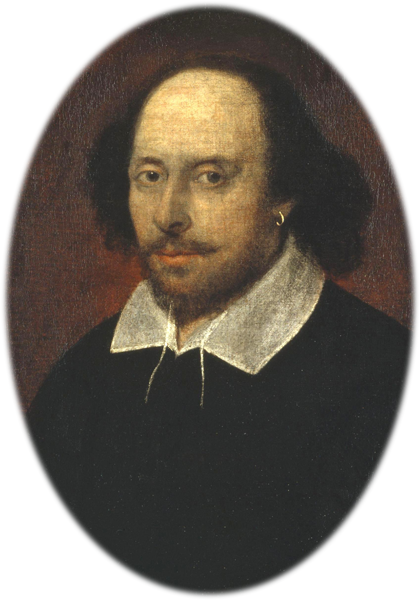 There is some serious speculation if Shakespeare really wrote the plays since he was an ordinary man of his day but has demonstrated in-depth knowledge of the English court that only a member of the court would be aware. I am a professional pianist and have recorded Greensleeves. Unless someone uncovers a contemporary manuscript containing the answer, I doubt if we’ll ever know who really wrote the plays. Personally I don’t think it matters. If the plays were by A Nonymous we’d still love them. I’ve ordered the CD and will let you know what I think of it when I’ve heard it. I agree the mystery intrigues and whoever did the writing would be worth studying. Perhaps the answer is hidden somewhere – lying forgotten in an attic or mis-shelved in a library. ..lying forgotten in an attic or mis-shelved in a library.. The most likely place to look would be the librarys of Oxford or Cambridge in Engand.. they were active Universities during Shalespear’s time…i.e. Isaic Newton Circa 1625AD…Perhaps the answer is there. One would think they’d been searched, but recently a ‘lost’ manuscript was found in the Welsh National Library, so it’s possible. However, anyone with any pretensions to anything had a private library until quite recently and I bet many of those were never properly catalogued. A good many of them still exist in some form. I’ve just done a post on the CD and how it sounded to me. Also a link to the Telegraph review which has an extract. Thank you for sending the Shakespear as he really sounded…I was able to understand all the words. Further, I was looking to see if the written words and the spoken word in the plays had different pronounciations..it appears to be the same. However I do differ that the Englsh Court’s speach ( i.e. King, Queen, Nobles, Dukes, Dutches etc ) and the common man on the street sounded the same i.e. The Broadway play ” MY FAIR LADY” ..The Rain In Spain Falls Mainly On The Plain.. Thank you for your comment. If you do buy the disk I’ll be interested to hear what you think of it. I did hear the samples you sent..thank you. I wont need to buy disk the samples gave me enough to get an idea of their speach patterns which sounded Irish to some degree as was stated by the disk preliminary comments. I find that interesting that Irish had filtered in to England at that time. Who influenced whom.i.e. did Irish speech come from Shakespearian England or did English come from Irland. Although there are some Irish-like sounds I doubt if there was influence either way. At that time Ireland was a mainly Gaelic speaking country. I think the apparent similarity is just chance. I would question that the Irish sounds in Shakespearian speech would be by chance since Irland and England are close together. Some migration of venacular probably did go back and forth across the Irish Sea evolving the current and Elizabethan speech. Further, don’t know what contribution/influernce Gaelic would have made on the modern Irish speech… is the broge a result of Gaelic or some import from somewhere else i.e. Viking invasions. I don’t know where the modern Irish accent came from. Probably several sources, Gaelic being one of them and the Vikings probably another, also a range of accents from England. I think that is a reasonable assumption which is probably how all languages evolved ..a mixture of a bunch of influences. I read an article on this a few days ago & was fascinated by the sound. Will be interested in what you think of it after you’ve listened to the CDs. Thank you for your comment. I’m going to order the CD tomorrow and should have listened to it in a few days. Hi Anne Camille, I’ve just done a post on the CD. I really enjoyed it. I’ve also given a link to a review that has an extract.